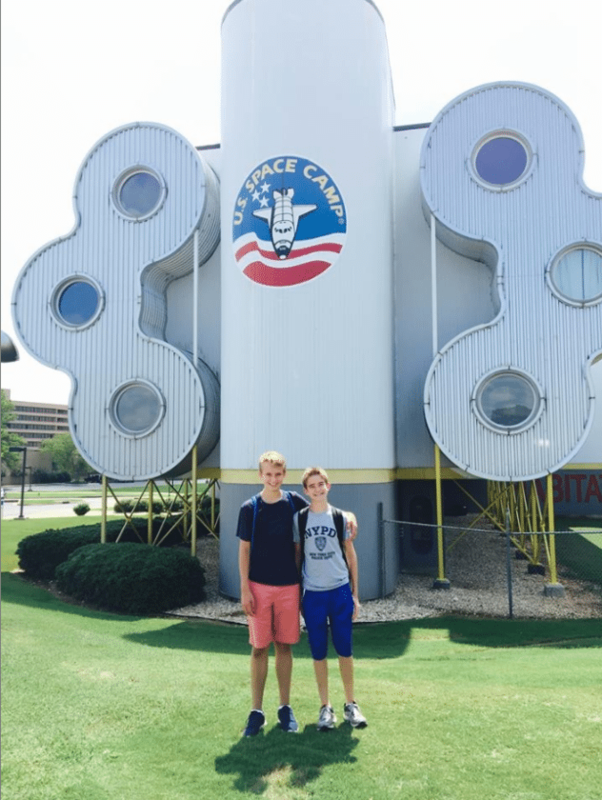 Miles Wilkin and Kurt Svenson pose in front of the U.S. Space Camp in Huntsville, Ala. in 2016. Wilkin and Svenson received a scholarship from the Chautauqua Region Community Foundation to attend the weeklong camp. 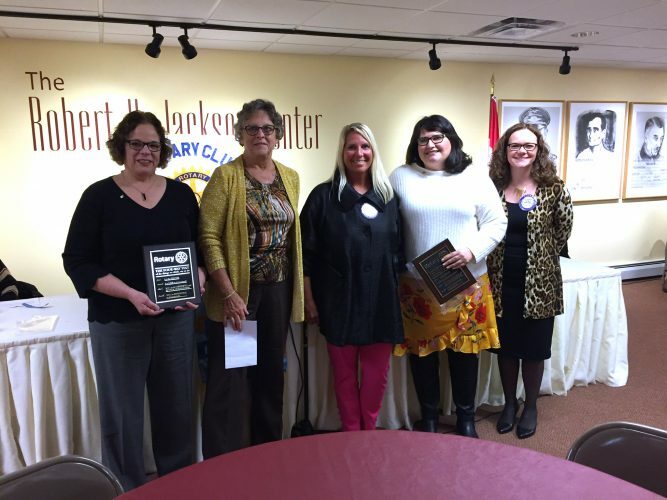 For more than 25 years, the Chautauqua Region Community Foundation has awarded The Lucile M. Wright Air Museum Scholarship to local individuals, fourth grade and older, attending Space Camp at the U.S. Space and Rocket Center in Huntsville, Alabama. The 2016 scholarship recipients, and best friends, Kurt Svenson and Miles Wilkin had the rare opportunity to study and train like astronauts during the weeklong camp and advanced space academy. Svenson, a junior at Southwestern Central School, enjoys studying astronomy, math and science. He hopes, one day, to travel to Mars. Svenson also plays trumpet in the high school band, runs cross-country track, and regularly participates in his church youth group. Wilkin is a sophomore at Maple Grove Jr./Sr. High School enjoyed the many different aspects of space camp from lectures and classes, to the more interactive activities. Wilkin is interested in business, politics and technology. He enjoys reading, watching and playing sports, and traveling. A member of the Junior National Honor Society, Wilkin is also a regional Science Olympiad participant and member of the competitive math and quiz bowl teams. To apply for a scholarship to attend the U.S. Space Camp in 2018, contact the Community Foundation at 661-3390 or visit crcfonline.org. Applications are due Nov. 15.